Los Angeles Modern Auctions (LAMA), the premier auction house of modern art and design on the West Coast, today announced the top lots from its fine art and design pieces as a part of its 25th anniversary auction. Los Angeles Modern Auctions (LAMA) is thrilled to announce its participation in Pacific Standard Time: LA/LA, as part of the Getty-led initiative celebrating the artistic and cultural relationship between Los Angeles and Latin America. The exhibit will feature works for sale as well as works on loan from The Otis College of Art & Design. LOS ANGELES, CA – Los Angeles Modern Auctions (LAMA), the premier auction house on the West Coast for Modern and Contemporary Art & Design, is pleased to announce The 25th Anniversary Auction. This curated auction in October 2017 will commemorate the company’s landmark year, and will include many of the artists and designers for which LAMA is known. The prices for Los Angeles artists were as hot as the temperatures during Los Angeles Modern Auctions’ (LAMA) May 21, 2017 Modern Art & Design Auction. Despite an unexpected regional blackout occurring mid-auction, LAMA posted strong results for local artists and designers Claire Falkenstein, Mary Corse, and Beatrice Wood. Paintings by Abstract Expressionists Paul Jenkins, Edward Dugmore, and Emerson Woelffer as well as notable design pieces by Pablo Picasso, George Nakashima, and Alvin Lustig all demonstrated the strength of LAMA as a global marketplace for art and design. LAMA’s total auction sales for the May 21, 2017 Modern Art & Design Auction realized $2.2 million, with a sell through rate of 77% of offered lots. LOS ANGELES,CA- Los Angeles Modern Auctions (LAMA), the premier auction house of modern art and design on the West Coast, announces a selection of fine art and design for the May 21, 2017 Modern Art & Design auction. The curated auction will represent coveted works of Abstract Expressionism, sculpture and decorative design, among others. Los Angeles Modern Auctions (LAMA) and the Estate of Emerson Woelffer are pleased to announce an on-going partnership for the estate and legacy of artist Emerson Woelffer. This partnership will include the management and sale of the artist’s estate in future LAMA auctions and private treaties to benefit the Scholarship Fund of Otis College of Art and Design. Los Angeles, CA- Los Angeles Modern Auctions (LAMA), the premier auction house for modern art and design on the West Coast, has announced the date of its Spring auction: Sunday, May 21, 2017 at 12pm (PST). The auction will represent a wide range of modern and contemporary fine art and design including sculptures by George Rickey, Louise Nevelson, Jean Arp and Howard Ben Tré, paintings by Mary Corse, Alex Katz, and Paul Jenkins as well as three important works by Claire Falkenstein. 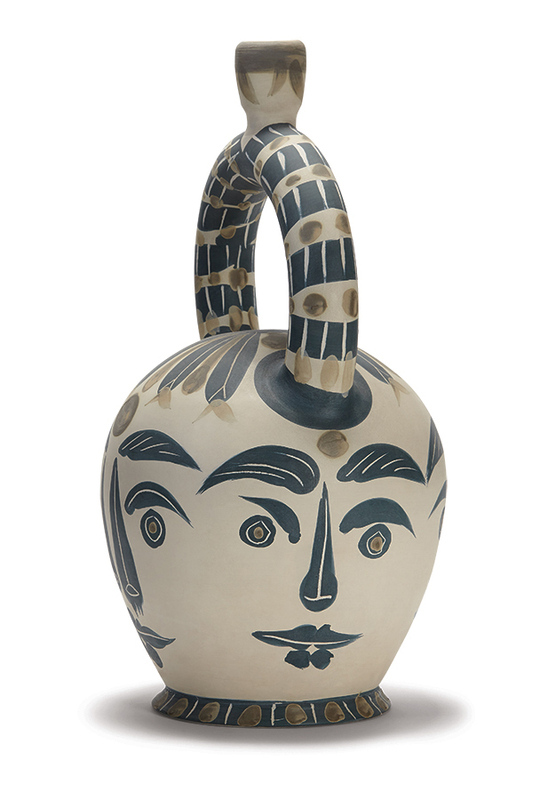 Additionally, the auction will feature a strong representation of modern design with furniture by George Nakashima, KEM Weber, and Tejo Remy and ceramics by Pablo Picasso, Gertrud & Otto Natzler, and a monumental work by Beatrice Wood. Los Angeles Modern Auctions (LAMA) set new world auction records on Sunday, March 5, 2017. Over 900 bidders competed for 396 lots of Modern Art & Design, proving that the art market is as strong as the stock market in 2017. Rare works by Alma Thomas, Chris Burden, Keith Haring, Georges Jouve, Pablo Picasso, and Peter Alexander all far surpassed auction estimates with many achieving world auction records for the artists.